When Pizza Hut started to do a roll-out of their Wing Street concept in southern California they were met with a “little” obstacle – the Wing Street concept required the use of a fryer. 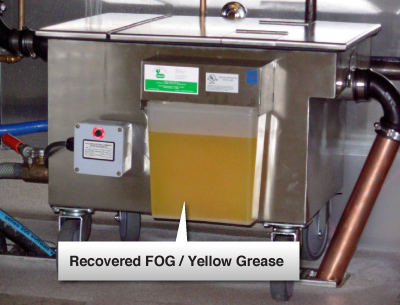 And the local authorities in turn required that the restaurant install a grease trap to handle the waste oil associated with fryer operations. To meet the immediate needs and concerns of the local authorities regarding the use of fryers and the waste oil associated with fryer use. 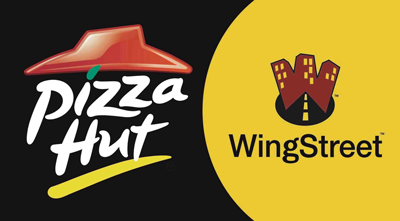 Pizza Hut / Wing Street contacted Goslyn™ LLC and asked for their assistance in gaining approval for the use of the GOS-40 and GOS-80 as acceptable substitutes for a traditional in-ground grease trap. Engineers from Goslyn™ met with the decision makers from the Building Department, the Health Department, and Water Department from several southern California jurisdictions. The purpose of such meetings was to thoroughly explain and demonstrate how the Goslyn™ unit actually works; how effective and efficient the unit was in recover FOG from water before the effluent went down the drain; how easy it was for restaurant employees to use and service; that the unit had been fully approved and tested by NSF and ASME; and the cost effectiveness of the unit in comparison to traditional systems. Within very short order, all of the aforementioned departments gave Pizza Hut / Wing Street approval to use the GOS-40 and/or GOS-80 as an acceptable substitute for an inground grease trap. The “clincher” for the local authorities was being able to approve an affordable solution to the problem. This was highlighted early on when a Korean family wanted to remodel a restaurant they had operated for 20 years and were faced with a $25,000 grease trap expense that their landlord would not allow. It was politically expedient for the Building Department to suggest they contact Goslyn™ for an affordable solution.